The Orkneys sit off Scotland's North Coast and are too rarely visited by visitors who focus on the Hebrides and mainland. Windswept and often bleak, in the summer months they are light filled and long-dayed with a specific culture and feeling all of their own. There are direct flights to Kirkwall airport daily except Sun from Aberdeen,Edinburgh,Glasgow, Inverness and Shetland,with connections to London Heathrow, Birmingham, Manchester and Belfast. All these flights are operated by Loganair/British Regional Airlines and can be booked through British Airways, Tel. 0845-7222111. There are several ferry routes to Orkney from the mainland. NorthLink Ferries, Tel. 0845 6000 449, NorthLink Ferries sail between Aberdeen and Kirkwall (6 hrs) five times a week (Mon to Sat). From Aberdeen, a single passenger fare costs from £15.90 and a single car fare costs from £62.80. Cars should be booked in advance. NorthLink Ferries also sail daily between Scrabster and Stromness (1 hr 30mins), up to six times a day. From Scrabster, a single passenger fare costs from £13 and a single car fare costs from £41. A shuttle bus links Scrabster with the nearby town of Thurso, on the north coast. There are regular bus and train services to Thurso from Inverness. NorthLink Ferries sail between Lerwick (Shetland) and Kirkwall (7hrs 30mins) five times a week). From Lerwick, a single passenger fare costs from £13.50 and a single car fare costs from £48.60. 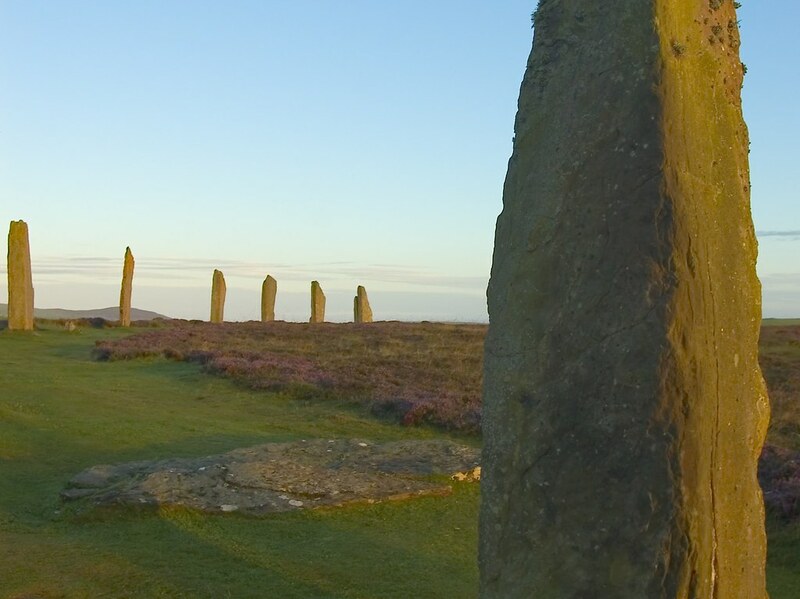 There is a 10% concessions discount on all NorthLink passanger and car fares to Orkney. John o'Groats Ferries, Tel. 01955-611353, John O'Groats Ferries operate a passenger-only (and bicycles) ferry service from John o' Groats to Burwick (2-4 times per day; 45 mins) on South Ronaldsay, from May to Sep. A single fare costs £16 (bicycles an extra £3). An off-peak return from John o' Groats to Kirkwall, departing at 1600 or 1800 costs £25. No bookings required. A free bus meets the afternoon train from Thurso at 1430 and connects with the 1600 or 1800 ferry to Orkney. There are bus connections between Burwick and Kirkwall (45 mins) for all ferry sailings. They also operate the Orkney Bus, a daily direct bus/ferry/bus service between Inverness and Kirkwall, via John o' Groats. It leaves Inverness at 0730 and 1420 from Jun-Sep (at 1420 only in May). It costs £40 return. Journey time 5 hrs. Advance booking is essential. There are inter-island flights which are operated by Loganair, Tel. 01856-872494. Eight-seater aircraft fly from Kirkwall daily except Sun to Stronsay,Sanday,North Ronaldsay, Westray and Papa Westray, and on Wed to Eday. To Papa Westray and North Ronaldsay costs only £15 single, and to the other islands listed costs £31 single. Inter-island flights not leaving from Kirkwall cost £14. There are sightseeing flights in Jul and Aug which fly over all these islands and cost £30. There's also an Orkney Adventure ticket which allows you to fly to 3 islands for £66. Flight schedules are given under each relevant destination in this chapter. Buses on the Orkney islands are very limited. Apart from the daily service between Burwick and Kirkwall, which connects with the ferry, there are buses from Kirkwall to Stromness, Evie/Tingwall, Dounby, St Margaret's Hope, Deerness and East Holm. There's also a bus to Houton (Hoy) which connects with the ferry. Orkney Ferries, Tel. 01856-872044, operates daily car and passenger ferries to Rousay, Egilsay and Wyre from Tingwall; to Shapinsay, Eday,Stronsay, Sanday,Westray and Papa Westray from Kirkwall; to Graemsay and Hoy from Stromness; and to Hoy and Flotta from Houton. There's a ferry on Fri to North Ronaldsay from Kirkwall. Fares: to Rousay, Egilsay, Wyre, Shapinsay, Hoy, Graemsay and Flotta costs £2.40 per passenger one-way and £7.20 per car. Inter-island fares are £1.20 per passenger. A round-trip costs £4.80. To Eday, Stronsay, Sanday, Westray, Papa Westray and North Ronaldsay costs £4.80 per passenger one-way and £10.80 per car. An inter-island fare is £2.40, and round-trip costs £9.60. There are also additional Sun sailings in summer (May-Sep); contact Orkney Ferries or the tourist board for the latest schedules. Those travelling by car should book all ferry journeys in advance. Ferry details are given under the relevant destination. Only the main population centres on Mainland are served by public transport, and having a car is essential to visit many of the most interesting sights. Bringing a car to Orkney is expensive, but there are several car hire firms on the Mainland and on the other islands. Car hire firms are listed under each particular town. Bicycle Orkney is relatively flat and most of its roads are quiet, which makes it ideal for touring by bike, though the wind can make it difficult if it's blowing in the wrong direction. Bicycles can be hired in Kirkwall, Stromness and on many of the other islands. Details are given in the relevant section. Those with limited time may prefer to book a tour of the islands. Both general sightseeing tours and special interest tours are available. Go-Orkney, South Cannigall, St Ola, Tel. 01856-871871, Go Orkney, runs a series of tours of Mainland, and also to Hoy and Rousay. 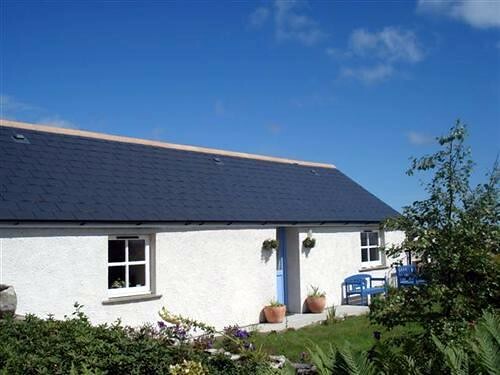 Wildabout Orkney, 5 Clouston Corner, Stenness, Tel. 01856- 85 1011, see WildAboutOrkney for further details, offers highly rated wildlife, historical, folklore and environmental tours of Mainland. 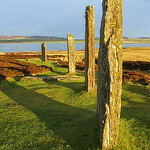 Discover Orkney Tours, Tel./Fax. 01856- 872865, offer tours of Mainland as well as trips to Westray and Papa Westray. The Orkney Tourist Board has tourist offices in Kirkwall and Stromness. They will book accommodation for you, or provide a list of what's available, though many B&Bs are not included in the tourist board scheme. They can also provide information on various sights, walks and the islands' wildlife. 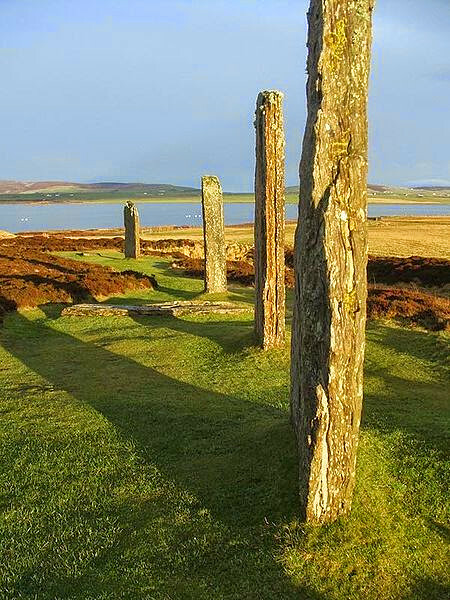 Those wishing to leave Mainland and visit the smaller islands should pick up a free copy of the tourist board's excellent information and travel guide, The Islands of Orkney. 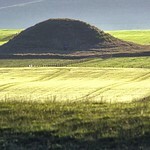 For more background reading, see the Orkney Guide Book by Dr C Tait. 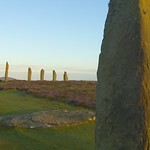 Many of Orkney's monuments are managed by Historic Scotland. They include the Bishop and Earl's Palaces, Broch of Gurness Buy A Pass, Maes Howe, Skara Brae and Skaill House, Brough of Birsay and Noltland Castle. 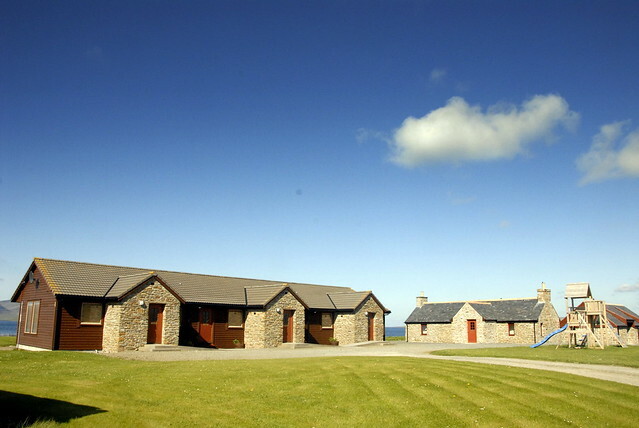 Check out the best hotel and guesthouse deals on Orkney with LateRooms here. 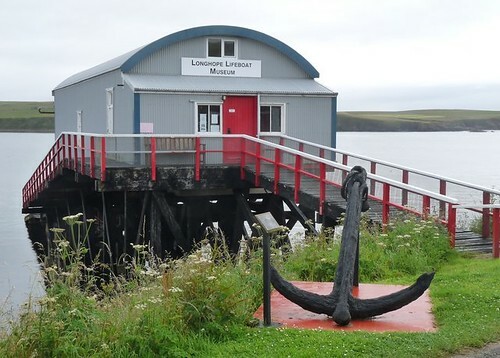 Small lifeboat museum based in the old shed at Brims on south end of Hoy. Tells the story of lifeboats in the area and some of the terrible disasters. 3 Norwegian style semi-detached chalets & recently renovated croft house on the A964 between Houton Stromness in Orphir. 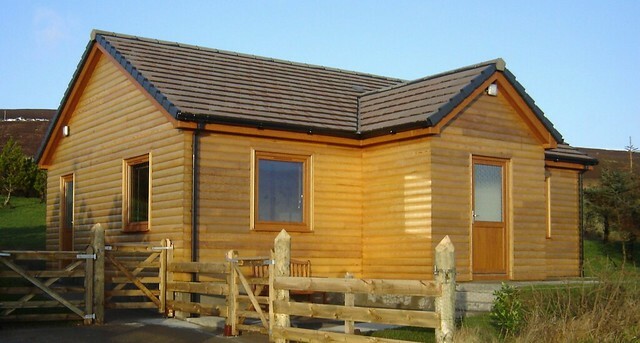 Waterfront property on 20 acres of land with stunning panoramic views of Hoy.